We're not finished yet! My Star Wars ABC's kicks off another week...just eight more letters left in the alphabet! 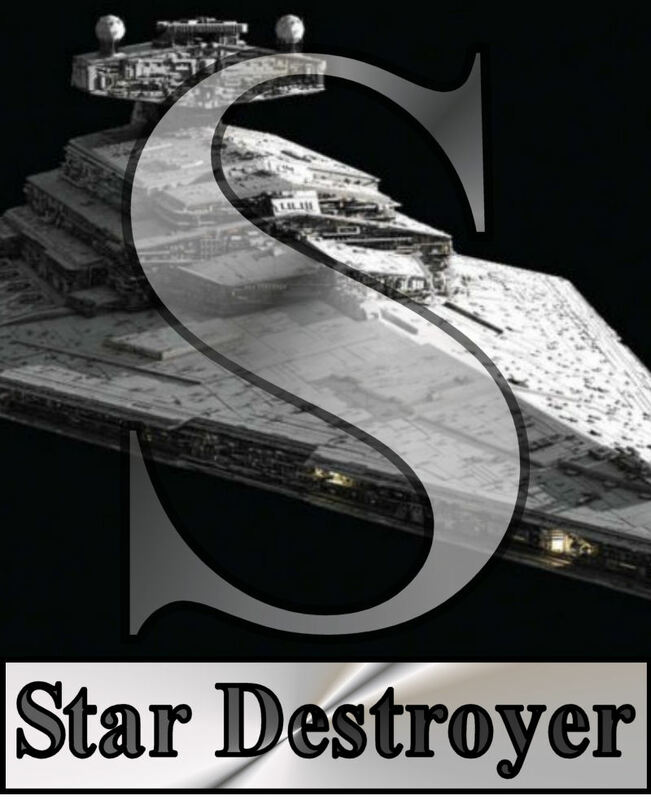 S is for Star Destroyer. Before there was the Death Star, there was the Star Destroyer, a big, sinister, bombastic symbol of Imperial might. I've always been a fan of the wedge shape, which is undoubtedly intimidating. They are the backbone of the Imperial fleet, huge ships carrying more than 47,000 personnel and a complement of 48 TIE fighters plus TIE variants, shuttles, gunboats, and AT-AT Walkers. When a Star Destroyer parks itself outside your planet, you'd better hope your energy shield can hold. Then you'd better hope your defenses can stop the AT-AT and AT-ST walkers from destroying your energy source. If those fail, you'd better have a shuttle on standby for a quick escape, because the orbital bombardment is going to be brutal. You see, the Empire doesn't care about things like "collateral damage," and it sure as hell isn't interested in a "surgical strike" (at least, not in most circumstances). And no one--no one--can forget how huge the Star Destroyer looked when it roared across the screen at the beginning of Star Wars. TOMORROW: "If there's a bright center to the universe, you're on the planet that it's farthest from." You know, if that's true...why does so much happen there?